This agreement is not exclusive. Toro reserves the right to have additional rental customers with regard to the same or other Products, and to sell the same or other Products through any channels it may choose. Rental Customer is an independent contractor functioning as an independent business separate and apart from Toro. Rental Customer may not in any way act or hold itself out as an agent of Toro, and Rental Customer has no power to incur any obligations of any kind on behalf of Toro. This Agreement does not create a legal partnership, joint venture, agency, franchise, dealership, or similar arrangement between the parties. This Agreement will take effect as of the date it is signed by Toro, and will continue until terminated per the termination provisions set forth herein. Rental Customer agrees not sell or assign this Agreement without written consent of Toro. Discontinue any use thereof upon demand by Toro or upon termination of this Agreement. Submit claims for reimbursement under the applicable warranty within thirty days after making repair or replacement for customers, using claiming procedures following the warranty policies of Toro. Register Products that it sells. Although a Toro registration card is supplied with every serialized Product, the preferred method of registration is to complete the information via electronic means. Fully implement all Toro programs to effect a formal product recall, and cooperate with Toro in the rework of any Product which may contain a defect. Rental Customer is required to immediately report to Toro any defect on any Product which appears to present a safety hazard to the operator or to bystanders. In the event Rental Customer observes an inoperable safety device or potentially hazardous condition on a Product, Rental Customer must refrain from renting or selling such product until corrected or, if previously rented or sold and in use by a customer, must inform such customer of the problem and the risks associated therewith, offer to repair same at customer’s expense if not warrantable, and maintain adequate records in support of such procedures. Products may be purchased from Toro pursuant to such terms, discounts, financing programs, and conditions as Toro shall independently establish. Rental Customer must follow all policies as outlined in the Toro Authorized Rental Customer Policy Guide. This Agreement does NOT establish credit or open account terms with Toro. Customer must complete a Toro Credit Application for evaluation by Toro in order to establish an open account with Toro. The Rental Customer agrees to perform routine and warranty service on Products covered within this Agreement. Rental Customer understands that additional tools may be required due to Product line changes. These new tool requirements will be communicated by service bulletins. Rental Customer must follow all warranty policies that will be outlined in the forthcoming Authorized Rental Customer Care Policy Manual. This manual will be distributed in the near future, and will be updated from time to time. 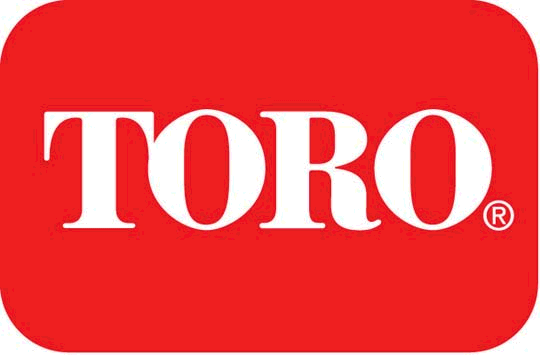 Warranty claims must be submitted to Toro through the Authorized Rental Customers Portal Online Site, until such time as an updated online warranty system will be available. Toro does not provide warranty and service support for some engines. Only warranty repairs on engines supported by Toro may be submitted to Toro for reimbursement. Rental Customer must effect repairs of the highest quality in accordance with the approved Toro (or vendor) procedures. Rental Customer must provide customers a 60 day warranty on all repairs. With the exception of standard shelf parts such as non-critical fasteners and the like, Rental Customer must use only parts manufactured, sold, recommended, or approved by Toro in order to service and repair Products, to thereby maintain the quality, safety, and performance of the Products and continue the validity of the warranty. Rental Customer must carry a sufficient stock of parts for the Products as recommended by Toro to permit efficient servicing of all such Products. Rental Customer must employ a trained staff of service technicians to ensure that repairs can be completed in a professional manner. Rental Customer must provide and maintain a safe, clean, and efficient service shop with adequate equipment, tools, and technical manuals, as recommended by Toro. Rental Customer agrees to thoroughly explain and demonstrate the safe operation and maintenance of all Products to the customer. Recommend fuels, lubricants, or maintenance procedures contrary to the technical recommendations of Toro for its Products. If Rental Customer does not abide by the foregoing, Rental Customer must indemnify Toro for any liability of personal injury or property damage and any legal or other costs incurred by Toro as a result thereof. This Agreement may be terminated: (a) by Rental Customer, with or without cause, upon a minimum of thirty (30) days’ advance written notice to Toro; (b) by Toro, with or without cause, upon a minimum of thirty (30) days’ advance written notice to Rental Customer; (c) immediately by Toro in the event Rental Customer fails to fully perform any or all of the obligations herein provided; or (d) immediately by either party if the other party becomes insolvent, bankrupt, or under receivership of any kind, or makes or executes any voluntary or involuntary assignment for the benefit of creditors. This Agreement constitutes the entire understanding between the parties hereto and replaces all other agreements, whether written or oral, relating to any and all arrangements previously entered into or in effect by and between Toro and Rental Customer; it may only be modified in writing through a document signed by both parties. Rental Customer acknowledges that it is subject to laws and regulations applicable to operating its business, and agrees to refrain from becoming involved directly or indirectly in any unlawful conduct in connection with the business relationship herein established. If any dispute arises out of or relates to the formation of this Agreement or the performance or breach or termination of this Agreement (but not as to collection of amounts owing as to which the remedies under the UCC and otherwise are applicable, and not as to disputes relating to the ownership and validity of the Trademarks), the parties agree first to try in good faith to settle the dispute by mediation under the Commercial Mediation Rules of the American Arbitration Association, or United States Mediation and Arbitration Services, before resorting to litigation. THIS AGREEMENT HAS BEEN MADE IN THE STATE OF MINNEOSTA, AND IT WILL BE CONSTRUED, INTERPRETED, GOVERNED BY, AND APPLIED IN ACCORDANCE WITH THE LAWS OF THE STATE OF MINNESOTA. IN THE EVENT OF LITIGATION, RENTAL CUSTOMER CONSENTS TO THE JURISDICTION OF ANY COURT OF GENERAL JURISDICTION LOCATED WITHIN THE COUNTY OF HENNEPIN, STATE OF MINNESOTA, WITH RESPECT TO ANY LEGAL PROCEEDINGS RELATED TO THIS AGREEMENT.